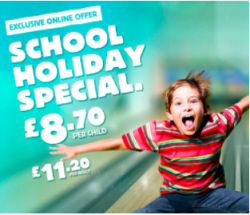 Tenpin are offering an exclusive online holiday special! You can keep the children entertained with 2 games of bowling and a burger meal! We know its half term but let’s keep the children’s brain working! Whats better still is Breakout have provided us with a special discount code just for YOU! 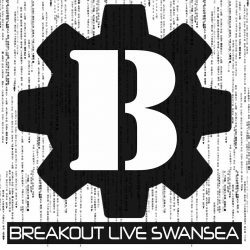 Use the code BREAKOUT-HALF-TERM to receive 10% off any game! You can work together in teams of 2-6 to find the clues to solve puzzles to escape! You will have 60 minutes to get out of a locked room! Do you think you can do it? Little Mix have become a massive hit In the past years! 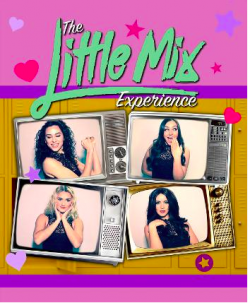 If your children love little mix this could be the perfect trip! The Little Mix Experience will be performing all the greatest hits with some added breath-taking dance moves to provide the whole package! Treat your family to an extra special night out at the Grand Theatre on the 22nd February from 6PM! Cirque Du Hilarious will be back at Swansea Grand Theatre on Monday, February 19th at 7 PM!! Watch Clive Webb & Danny Adams the “troublesome twosome” on their magical mischief tour! A brand new tour for 2018 so if you have seen the pair before don’t worry because its all brand new and totally unique! The perfect way to kick off the half term with plenty of laughter for the entire family! 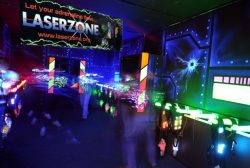 Let the children run free at Lazerzone every Sunday between 12:30AM – 12noon. The Lazer arena will be turned into Kidzone for a short time! Yes this means no adults allowed creating a safer environment to explore the area! A game of wits and stealth as laser tag allows teams to compete against one another or simply one on one! Price: £7.50 for 3 games ( Age 8-16 ) All games must be booked in advance as limited spaces are available! 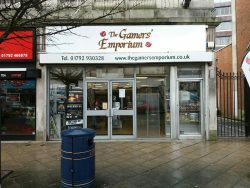 This is one of our favorite little beauties of Swansea City Centre! A day out which won’t have just the kids amazed but also adults. Their unique set up allows families to hire wooden crates with cushions and blankets to cwtch up with the family! The perfect way to spend some quality time together this half term! Generation Games will be taking place over the half term from 10AM-5PM! Come visit the exhibition to find out the history behind consoles right from 1973!! This is a fun way to get the children out of the house and educate them about the things they might love the most! You will get to see some of the now rare older consoles! You can also get 10% off in their gift shop if you show your loyalty card! We have Wales BIGGEST indoor waterpark in our City Centre! They have organized lots of half term fun to take place this February! From the 12th – 19th you can enjoy the whole waterpark from 1PM – 8PM at its off-peak prices! How awesome is that?? Wait… There’s more from the 17th Feb – 25th Feb the Waterpark and Boardrider will be open from 9AM-8PM! 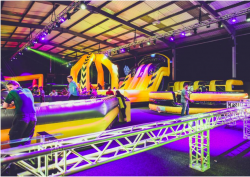 The largest inflatable play arena will be coming to the LC to take everyone of all ages way back in time to Jurassic age! The UK’s largest indoor inflatable play arena will be stopping off at the LC for two days to take little ones – and adults – on a journey back to the Jurassic age. Your little ones will get a whole 2 hours to run around the arena, exploring the obstacle course and other activities! The wacky world has been described as a cross between the Total Wipeout TV show and Get Your Own Back! During your visit, you will also get the chance to see their latest attraction a 7 ft T Rex who comes to life with loud roars! The perfect picture opportunity for any dinosaur lover! The arena will be in LC2 from the 20th – 21st of February! Tickets can be purchased from theWacky World Website HERE! The perfect opportunity to educate the children this half term! Plantasia will teach everyone the importance of looking after and protecting the rainforests of the world! There will also be a chance to come face to face with some rainforest inhabitants including insects, snakes, an iguana and a bird eating tarantula! Paddington Bear will be shown at Vue Cinemas from the 16th – 18th February at 10AM! The perfect thing to do on a rainy day (Which we know the chances are high) ! A family day out to the cinemas is the perfect answer to put a smile on everyone’s faces! Price: £2.49 for both adult & Child tickets. To book tickets and more info CLICK HERE! An amazing film has been selected to be part of their Kids club this half term! From the 17th Feb – 20th Feb you can watch The Lego Ninjago Movie! Watch a team of Lego Ninjas defend Ninjago City from the evil Garmadon! Enough to get the children grabbing into their seats!! 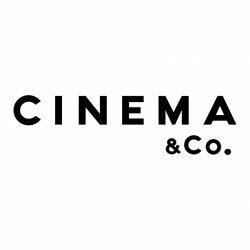 You can watch big adventures, far-far-away lands and unforgettable characters at Odeon. (This really is the place to let your imaginations run WILD! 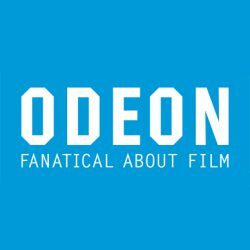 Price: All tickets are £3.25, which means you can share Odeon Kids screenings with the whole family!! 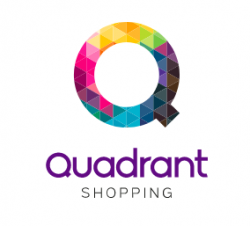 The Quadrant is running a competition to celebrate the month of love the welsh way from the 23rd – 25th Feb! All you have to do is a design a love spoon, You can pick up design sheets from the center of the quadrant ( by the stairs) and post it back in the box! The winner will be given a box of arts and craft materials from the works! Check out their FACEBOOK for more planned events (They have lots going on for everyone!) They also now have a Facebook group where you can arrange to meet up with other members & play particular games just click HERE to join now! 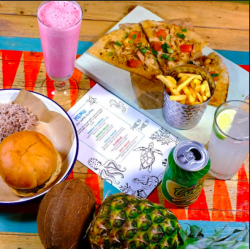 Turtle Bay is allowing the kids to treat you this half-term! From the 12th – 19th February 2019 when you purchase any child’s meal from the “Little Turtles” kids menu you will receive a FREE adult drink! Turtle Bay is a beautiful Caribbean restaurant in the heart of Swansea! The restaurant is inspired by the Caribean so why not dream away while the kids dine! Picture that white beach, The smell of beautiful food ( Hey you won’t have to pretend with that one! Just smell ) & a cold drink in your hand ( On turtle Bay)… How awesome does that sound! The Dylan Thomas Centre will be hosting a family workshop based on the animals in Dylan Thomas work! These animals will include foxes, owls, and tigers! During the workshop children will create 3d animal masks & there will also be face painting and lots of fun activities to keep everyone amused! The animal-based workshop will take place on the 19th February between 1 PM – 4 PM and is suitable for all ages! On Saturday 17th February the Glyn Vivian Art Gallery will be hosting a drop-in workshop for families! An activity to get the creative side of the brain working! The workshop will encourage children to create their very own artwork or shall we say masterpieces? Their very own artist educators will be on hands to help and lead the way!